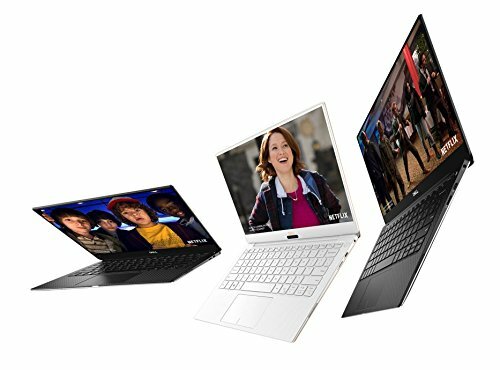 You want to buy a new Ultrabook, but do not know which one to choose? In this guide, we will help you find the right product for you. Let’s face it, Ultrabooks are one of the engineering masterpieces. Who does not want a powerful laptop with a long battery life and a thin and light case? The ideal ultra book, which is nothing more than an evolution of the notebook, is powerful enough to process an important amount of data, has enough battery life to survive an airplane flight and is thin and light enough to carry anywhere. But like all good things, they also have few cons, such as the price at which they are sold. 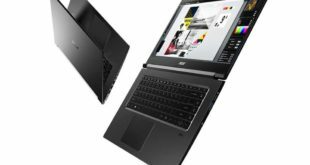 We have decided to create a guide to buying the Best Ultrabook 2018 available on the market, in order to help you buy the perfect product for you. Before starting our selection, it is important to understand what the Ultrabooks are. They are real laptops, but they differ from the classic notebooks for some features. This series of products is characterized by the extreme lightness and the reduced thickness they are equipped with. So basically, they are thinnest and lightweight laptops. Ultrabooks are especially suitable for users who travel a lot and need to take their laptop with them. These devices are very easy to carry because they do not clutter and occupy little space inside the bags. In addition, the hardware features of which they are equipped are on a par with those of the classic notebooks. However, ultrabooks reach compromises to maintain an extremely reduced thickness. For example, almost all of this lightest laptop does not have a CD / DVD player. Which ultrabooks to buy or choose to is not an easy task to perform lightly. There are many aspects to consider before proceeding with the purchase. However, these aspects must reflect your needs above all. Features like processor and RAM depending on the use you intend to make of it. If you want to buy an ultrabook for students, you can opt for a mid-range model. 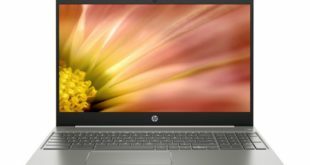 If you want to buy an ultrabook for work or an ultrabook for graphics, you will necessarily have to turn to a high-end model. 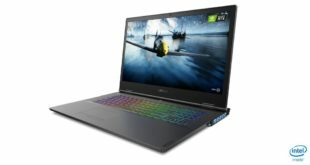 Forget the purchase of ultrabook for gaming. 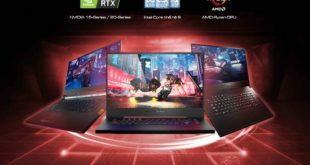 The category of laptops dedicated to gaming, in fact, requires hardware features suited to the purpose. With such a thin device, it will not be possible to better dissipate the heat produced under stress. The battery is also one of the key aspects to consider. This type of device must be able to guarantee excellent power, as they are products that must accompany you, especially on the move. As for the price, however, do not expect convenient figures. In this category, there are some products with excellent technical characteristics, but that does not renounce to maintain a high price. As the first ultrabook, we offer the Acer Swift 3. It is the ideal solution for those looking for a good performance device without spending too much. This Ultra book is equipped with an 8th Generation Intel Core i5-8250U Processor (up to 3.4GHz). To support the processor there are 8GB of LPDDR3 RAM and a 256GB SSD. It features a 14-inch display with Full HD (1920 x 1080 pixels) resolution. The IPS- type panel is treated with an anti-reflection treatment, which allows you to enjoy an optimal vision even under the sunlight. There are two different variations of this model. We have decided to propose the model with i5 as it is the most balanced between those proposed. The Asus Zenbook ultrabook is one of the best laptops for the quality and price ratio. In fact, it is confirmed as one of the best ultrabooks that can be purchased at the moment. The processor is an 8th Gen Intel Core i7-8550U 1.80 GHz (Turbo 4.0 GHz, 4 Cores 8 Threads, 8 MB SmartCache, 15W). The CPU is paired by 16GB of LPDDR3 RAM and a 512GB SATA M.2 SSD that allows you to store a significant amount of data. This Asus Ultrabook also comes with an NVIDIA GeForce MX150 graphics card that lets you use software like Photoshop. The dedicated GPU also makes it a decent ultrabook to play most games without major demands. The Asus Zenbook UX430UN is equipped with an excellent 14-inch Matte NanoEdge display with Full HD resolution and a battery that can guarantee juice up to 6 hours. Do you want an ultrabook that can also work in from of the tablet? Then this HP Specter X360 is the perfect device for you. This is a convertible ultrabook with a 13.3-inch IPS touchscreen display with Full HD resolution and WLED backlighting. The processor is an 8th Generation Intel Core i7-8550U (1.8 GHz base frequency, up to 4 GHz with Intel Turbo Boost Technology, 8 MB cache, 4 cores), paired with 16GB of RAM. As for internal storage, we find a 512GB PCIe NVMe M.2 SSD that allows you to store a fair amount of data. Inside the box, there is a practical stylus pen that allows you to interact with the touchscreen display without using the touchpad or mouse. This model is especially indicated for those looking for a product that is easy to transport, but at the same time with really bad technical features. We could not miss the Huawei ultrabook in our selection. The laptops of Huawei have always stood out for the excellent quality and price ratio, a peculiar characteristic of the company. The Huawei MateBook X Pro is equipped with an 8th Gen i5-8250U processor coupled with 8GB of RAM. To complete the whole there is a 256GB SSD that houses the operating system and improves the overall performance of the system. One of the most interesting features of this Huawei Ultrabook is its 13.9-inch 3K FullView Display with touch, 91% screen-to-body ratio, only 0.57-inch thin and weighs only 2.93 lbs. The panel that is equipped with 3K (3000 x 2000 pixels) resolution, 1500:1 contrast ratio and 260ppi. Are you looking for an extremely thin ultrabook? So the best choice to make is the Asus Zenbook 3 Deluxe ultrabook. To make it so thin, stylistic and hardware choices were made with extreme care. The build quality is really excellent, worthy of an ultrabook of this price range. The beating heart is the latest 8th-Generation Kabylake Intel Core i7-8550U Processor 1.8 GHz 8M cache (Turbo up to 4.0 GHz), paired with 16GB of RAM. Moreover, this ultrabook is equipped with 512GB NVMe SSD. The CPU is also cooled by copper-alloy heat pipe and liquid-crystal-polymer fan. The 14-inch display with Full HD resolution allows you to keep the size very compact. On the touchpad, moreover, there is a handy fingerprint sensor that allows you to better protect your personal information. The best ultrabook on the market is definitely the Dell XPS 9370. The Dell product line has always been confirmed as the best in design. The model we have decided to offer is equipped with an 8th Generation Intel Core i7-8550U quad-core processor with a base frequency of 1.80 GHz and a good 16GB LPDDR3 of RAM. As for internal storage, we find a 512GB SSD, which allows you to store a large amount of data and improve the overall performance of the system. The real strength of this Dell Ultrabook is the form factor. In fact, it is equipped with a 13.3-inch InfinityEdge display with Full HD resolution, virtually borderless. The battery guarantees a range of 13 hours for Internet browsing and 10 hours for watching multimedia content.